Storage/Command Centers - Ed Roehr Safety Products Co. Please Call 800-392-8210 for Quote! The Chief reigns as our most popular Command Center. 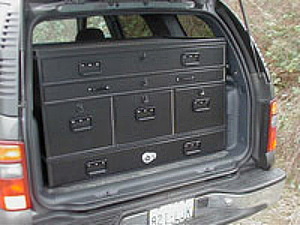 A full-featured mobile operations center, the Chief features two extending file drawers, fold-up map board, full-size weapons drawer and two additional utility drawers. Three full-size file drawers and six drawers overall outfit the Tac Center as our most supremely capable information center. 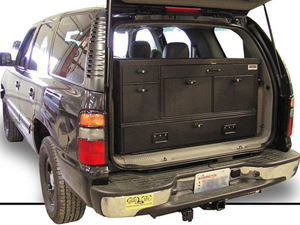 Large folding map board and standard depth weapons drawer and shallow radio drawer complete the unit. 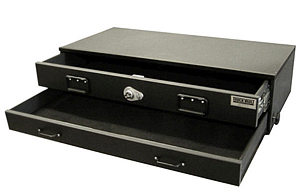 This expanded two-drawer unit features a deep upper drawer for larger equipment items and firearms and shallow lower drawer where sensitive electronics like laptops and radio equipment can be securely stored and protected.